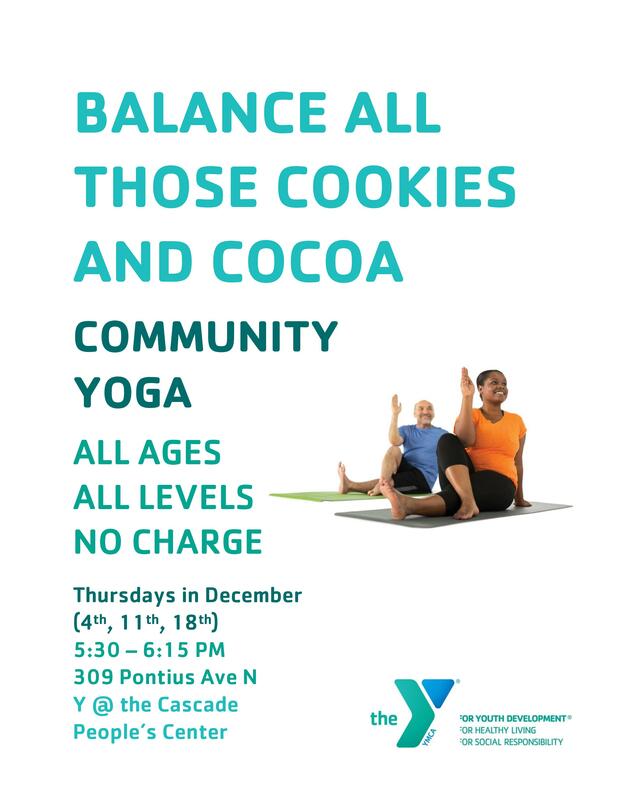 Join the Cascade neighborhood for free community yoga (donations accepted) on Thursdays in December – the 4th, 11th, and 18th. We will be starting at 5:30pm and finish by 6:15pm. Come and join us!